The nursery is starting to take shape! 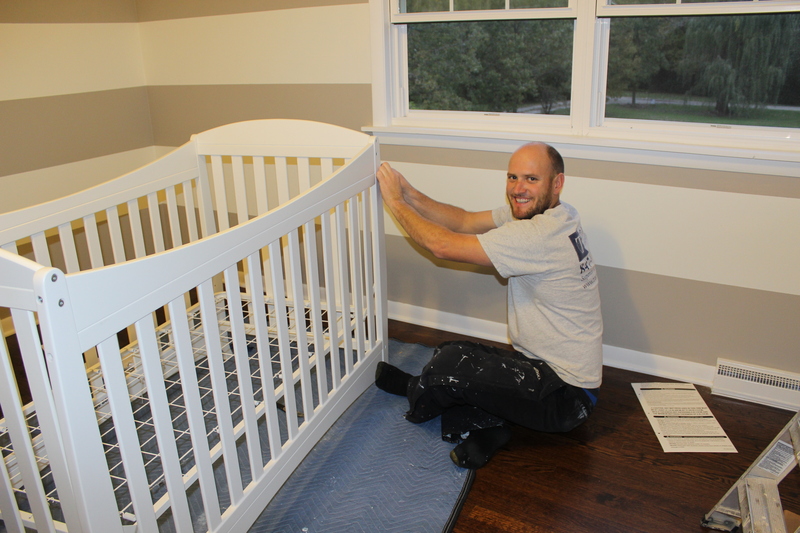 Over the weekend, we got the wall stripes painted, the crib built, and the first coat of paint on the changing table/dresser. 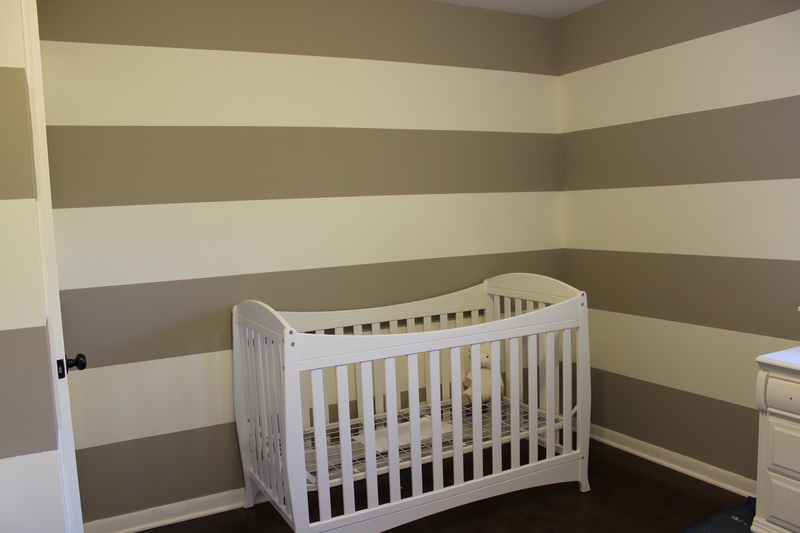 The stripe colors are Behr’s Powdered Snow and Perfect Taupe (lightened by 20%). 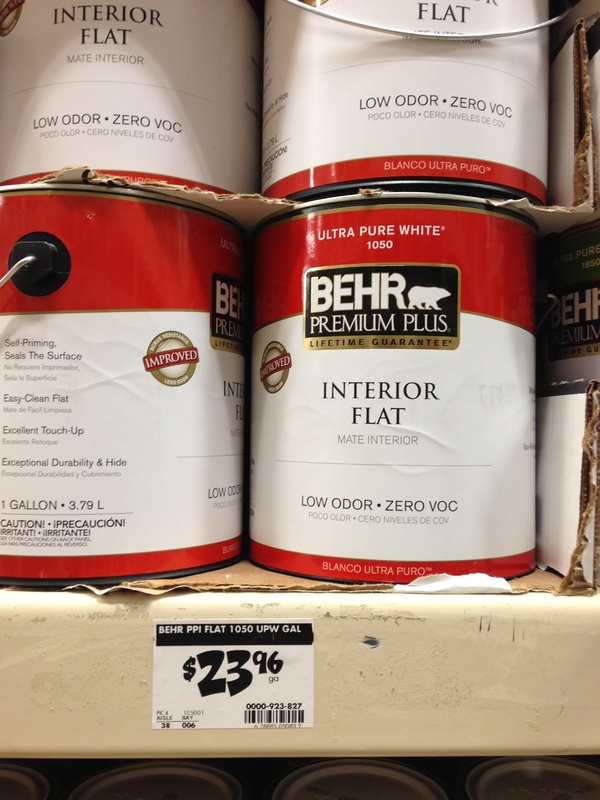 For obvious reasons we went with their No VOC, Low Odor paint, and it applied well and was affordable. 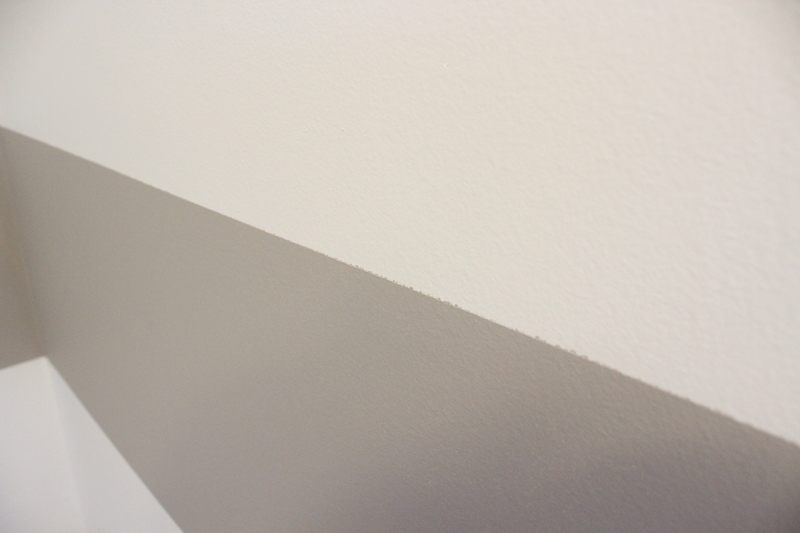 It took two coats of the Powdered Snow to cover the previous greenish wall color, but only one coat of the taupe stripe. 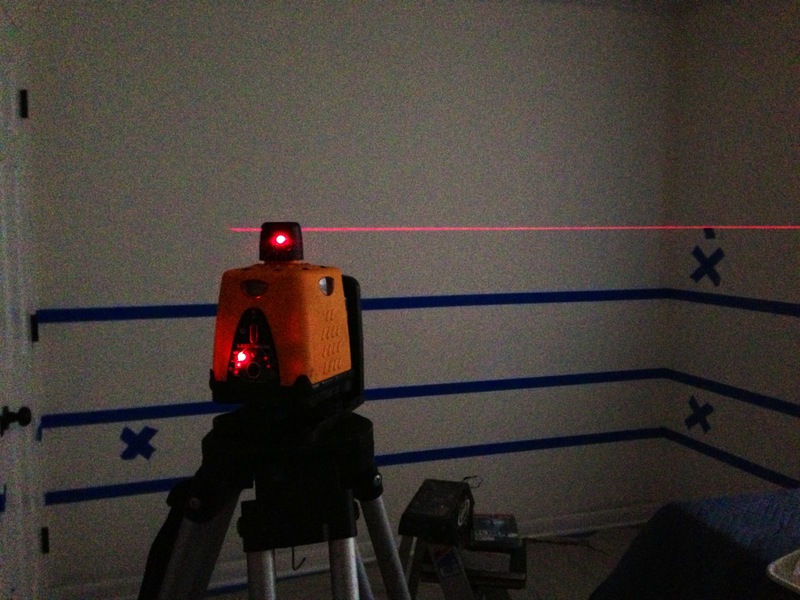 The stripes were a little tricky, namely taping them all off, but Ben had a 360° laser level, so that made things much easier I think. 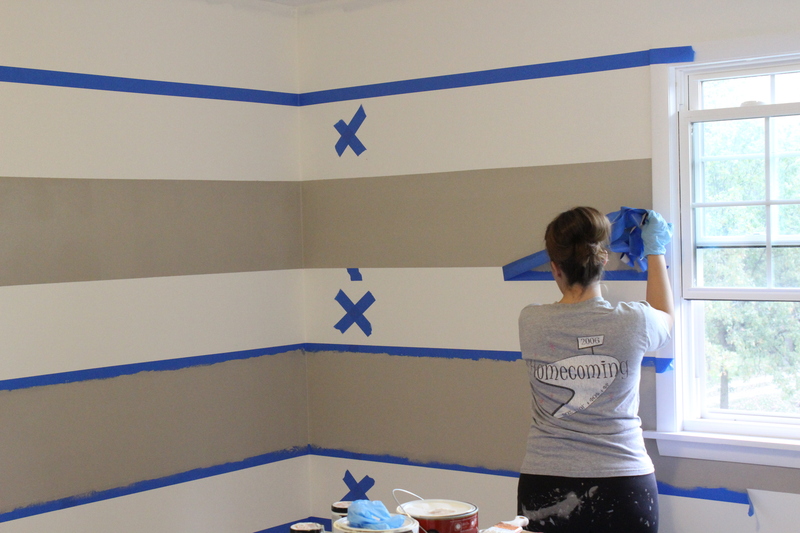 There’s a bunch of tutorials on Pinterest about how to do the stripes but a key thing for us was removing the tape as soon as you were done painting the stripe. We would paint 1-2 stripes at a time and then pull off the tape towards the area you just painted. Up close the lines are a little jagged, but unless you are eye level staring right at it, it looks pretty darn good. Once the paint dried, we set up the crib. It is the Nursery Basics Classic Crib in white from Toys-R-Us. After ogling the $500-$1,000+ cribs at places like Restoration Hardware and Pottery Barn, we decided to go simple and scored this one for $129 on sale. I don’t think it looks cheap though and seems pretty sturdy, so we shall see. It only took about 30 minutes to assemble and no bickering ensued so I would call it a success. Next up is finishing the makeover of the changing table/old dresser that lived in this room before. We’re trying out Annie Sloan’s chalk paint for the first time. Then, my favorite part which will be decorating with curtains, bedding, a plush rug, art, shelves, etc. It’s really happening!